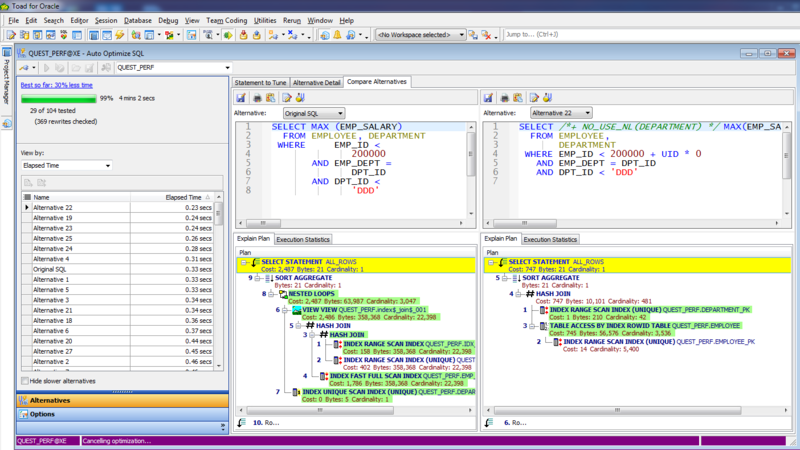 Create, run and store PL/SQL unit tests by simply executing code. 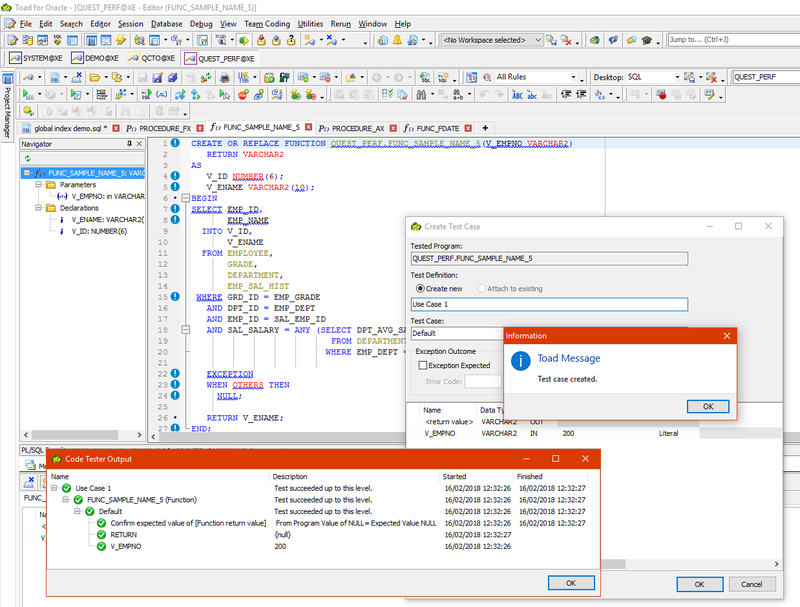 Use Code Tester for Oracle to extend and create more comprehensive tests to help minimize defects in production. Define coding standards from a selection of 200 rules to ensure development teams can correct code as they type and consistently improve overall quality. This makes it easier to maintain code in the future and reduces the likelihood of defects. 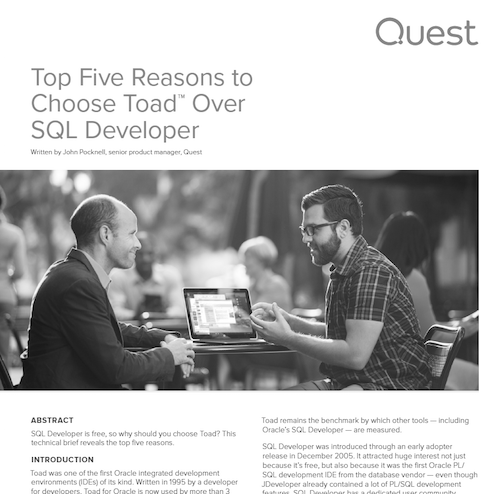 Use Toad’s unique rewriting technology to quickly find the best alternative SQL, which will speed up SQL queries and PL/SQL code in the database. Manage all your databases easily whether on-premise or in the cloud. Control access to protect databases against attack. Browse and navigate database objects like tablespaces, rollback segments and roles. Execute one or more scripts against one or more databases. Automate routine admin tasks. View and edit data. Import and export data from/to multiple sources. Subset and mask data from production. Generate relational data for testing. 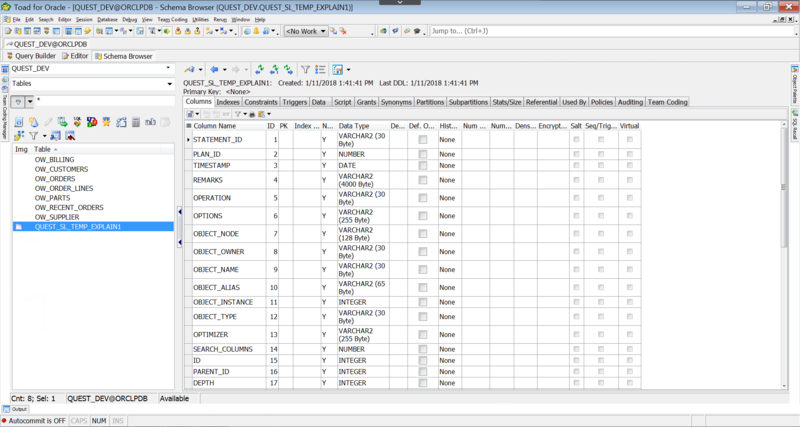 Report on data and output to multiple file types. Use Jump Search to quickly find information on topics, inside and outside of Toad. 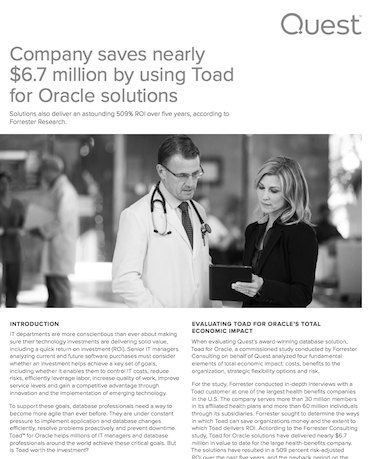 Extensive help is available, including access to user community forums on Toad World directly from Toad for Oracle. Get recommendations for performance, connection, or other issues based on your environment. 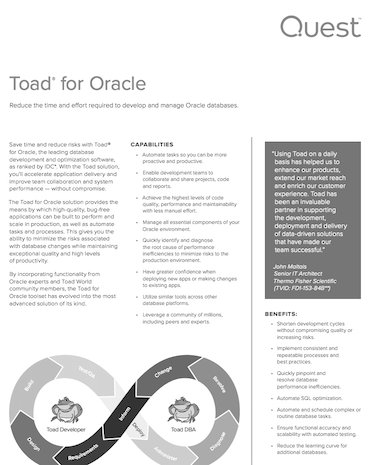 Toad for Oracle’s video library includes helpful how-tos and product information to help you get the most out of Toad for Oracle. The Toad World Forums is your place to ask and find answers to questions, and discuss Toad for Oracle with other users, whether you're a new customer or an existing one.